Your front and back door are very important for your home security, so it is critical that you find ways to keep them secure. Not that you have given it a lot of thought, but there are many things to consider about your door’s security. This includes how you use it, how others use it and the amount of risk it currently faces. One of the best ways to finding the best way to keep your door secure is knowing the risks that you hope to avoid. 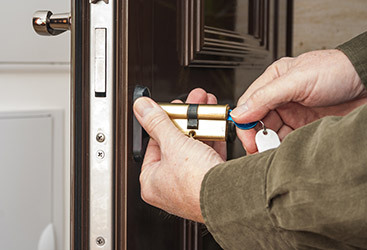 Locksmith New England, your New Hampshire locksmith, recommends that you complete a home security risk assessment to get some sense of your level of protection. It is also a good idea to anticipate the types of threats your home might be vulnerable to. Here are a few things to consider when searching for the best way to keep your doors secure. If it takes little effort to bypass a secure door, there is a serious flaw. There are any number of ways in which somebody can bypass a door; one of the most common is using a credit card to release the lock. So when considering door security, look for ways your doors can be bypassed and find solutions to those issues. More popular types of forced entry are ramming and kicking. Kicking and ramming are violent methods of breaking into a home and can be used by anyone. The act of kicking in a door is popular, but people are also known to use their shoulders to strike a door while others might even use a battering ram or another device. This method of breaking in will often compromise the siding of the door, the door itself and the hinges. So to keep a secure door, you need to discover the best ways to prevent these types of break-ins. There are any number of ways a person could choose to break a door lock, but using a drill is quite common. This is an effective way to break into a home because drills are easy to obtain and you don’t need to be an expert on locks to complete the job. But if a lock is too hard to drill, you will wind up with a secure home and frustrated criminal. 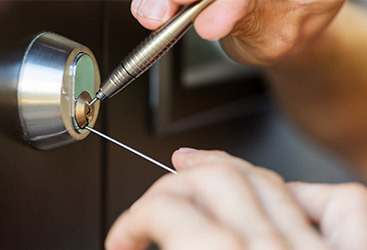 Contrary to popular belief, lock picking is not a popular way to gain entry to somebody’s home. 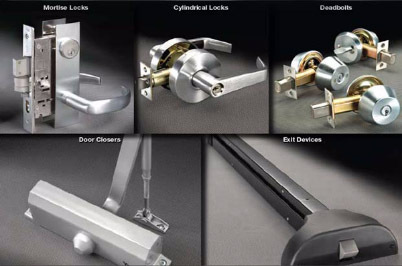 While it is true that any lock can be picked, modern locks are very difficult to pick. Cutting is a popular way to break into houses that have a deadbolt. If you have a cheap lock that you find at many retail stores, cutting through them is quite easy. In fact, cutting through a cheap lock is not only easy, it takes very little time as well and can be done with a hacksaw. 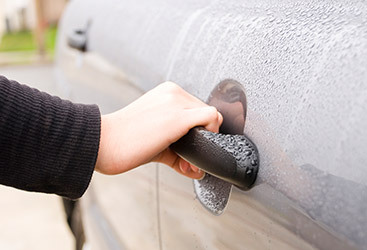 Knowing the ways in which your doors can be compromised is the best way to find ways to make them more secure. 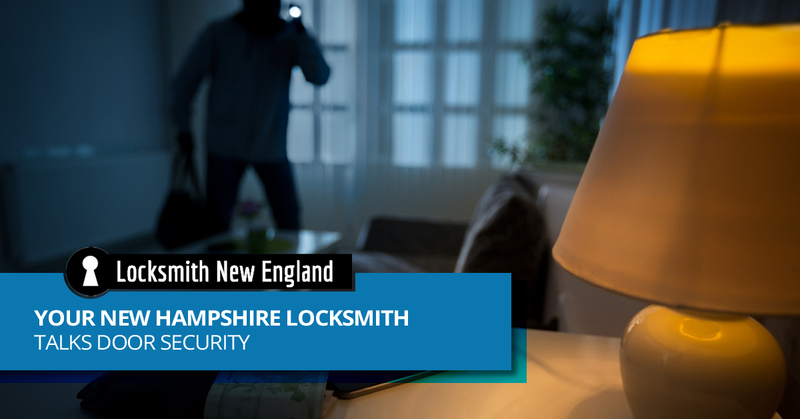 If you have questions about home security, give Locksmith New England a call.